Rome is in a state of emergency, the Senate and the Guard are embroiled in fierce arguments, the people are divided. Many roads lead to Rome, whether you decide to use powerful cards such as the Tower and the Praetorian Guard to protect the power and victory points you have, or instead prefer to use the Consul and the Tribune to skilfully pull the strings behind the scenes. Whoever succeeds in using their connections and manages to play their cards cleverly will at the end deserve their victor's laurels. Roma features unique card and dice play. Players place cards at "dice stations" numbered 1-6. The player uses dice rolled each turn to activate dice stations to use the card that has been placed at a station. Card effects guide your tactical actions in the game through manipulating cards in play, providing money or granting victory points. In each game of Roma, there are a fixed amount of victory points in play, once all victory points have been collected, the player who has the most victory points wins the game. 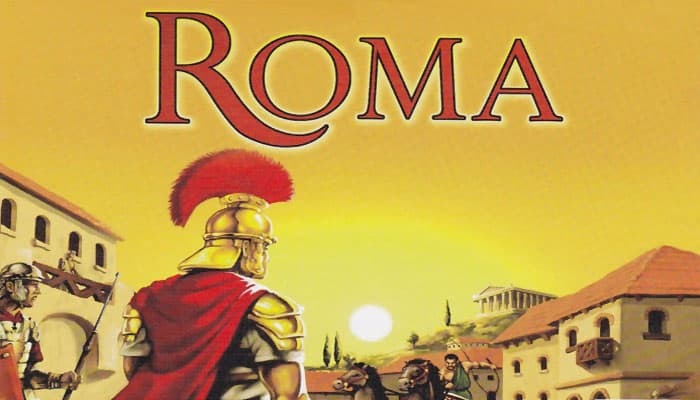 Can be combined with its sequel game, Arena: Roma II, with varying play options. eliminates an opposing, face-up character card. The opposing card and the Sicarius are both discarded. enables the player to lay as many building cards as they wish free of charge. The player is allowed to cover any cards. The player picks up their character cards and can then lay them again on any dice disc. Buildings can be covered.